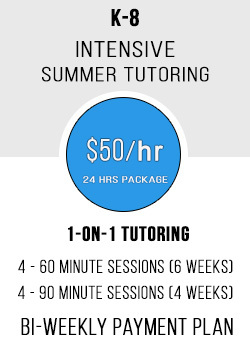 Enroll in Summer Tutoring and avoid brain loss. 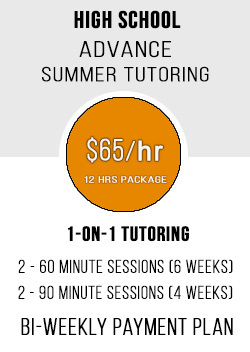 Tutoring plans available for students in Elementary School, Middle School, or High School. Students hours can be applied to any K-12 subjects: Math, Reading, Writing, Science, or Foreign Languages. Flexible scheduling is available between 9:30 am- 6:30 pm Monday-Friday. 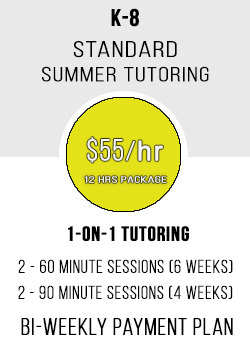 Enroll in your preferred tutoring plan below!